This information concerns the entire website (public space and service providers), managed by psyCARE Sàrl. The conditions below can be modified at any time by Nico Rosier / psyCARE Sàrl. Only the online version is legally binding. The information provided on this website is intended to improve, not replace, the relationship that exists between the patient or visitor of the site and the health professional. Despite the great attention it pays to the accuracy of the information published on this site, Nico Rosier / psyCARE Sàrl can not be held responsible for the fidelity, accuracy, timeliness, reliability and completeness of this information. Nico Rosier / psyCARE Sàrl expressly reserves the right to modify all or part of the contents of this site (public space and service providers), to remove them or to temporarily suspend their publication, and this at any time and without prior warning. Nico Rosier / psyCARE Sàrl can not be held responsible for material or immaterial damage that may be caused by providing access to the information on this site (directly or through a link) or by their use, non-use, misuse of the connection or technical problems. Referrals and links to other websites are informative. The content, form and services offered by these sites are entirely the responsibility of their authors. Access to these sites and their use are at the sole risk of the persons who consult them. Article 13 of the Federal Constitution of the Swiss Confederation and the Federal Law and Cantonal Data Protection Law provide that everyone has the right to the protection of his privacy as well as to the protection against the abusive use of data concerning himself/herself. psyCARE Sàrl strictly abides by these provisions. Personal data is treated confidentially and will not be sold or transmitted to third parties without the consent of the persons concerned. psyCARE Sàrl, in close collaboration with its hosts, strives to protect by all means its databases from external intrusions, losses, misuse and forgery. The data are stored exclusively in Switzerland. However, these rules are not valid for voluntary registration on the private part of the site. When saving a visitor’s personal data, those data are stored in a separate database that has no link to the anonymous log files. The visitor can cancel his registration at any time. Personal data are not transmitted to entities external to psyCARE Sàrl. Copyright: Nico Rosier, 2015 – to this day. The information contained in the non-proprietary portion of this website is made available to the public. The downloading or copying of texts, illustrations, photographs or other data does not imply any transfer of copyrights. Copyright and all other rights relating to texts, illustrations, photographs and other data placed on this website are the exclusive property of Nico Rosier / psyCARE Sàrl or that of the holders expressly mentioned. Reproduction is subject to the prior written permission of the copyright holder. If you think that on this site illustrations, photographs or other data are used in a way that violates your copyrights or those of a third person, contact Nico Rosier / psyCARE Sàrl. Everything will be done in order to correct the situation, or if necessary, to remove the items indicated as soon as possible. 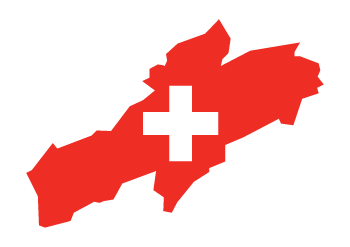 Swiss law is exclusively applicable within the framework of this website according to the general conditions presented above. In case of dispute, only the courts of the canton of Neuchâtel are competent.